If you want to throw your child a party people will be talking about for years to come, consult our definitive children's birthday party guide in the Bronx when you do your planning. Get kids birthday party ideas in the Bronx from the top entertainers, caterers, decorators and rentals we have listed here. 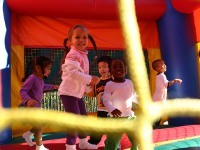 Find some of the most fun birthday party places in the Bronx when you use FunNewYork's directory. Arcades, play places, zoos and more are some of the top Bronx kids party places. Bronx kids party entertainers are some of the best around. 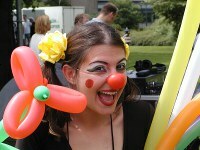 See a list of top childrens birthday party entertainers in the Bronx. This is your one-stop guide to Bronx kids party rentals! 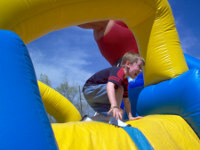 You will find here a categorized list of kids party rentals in the Bronx to help you plan your next big event. 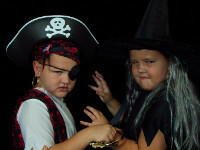 When you plan parties for young children Bronx can offer you many options. 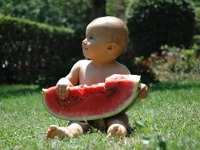 See this list of toddler party ideas, 1st birthday party ideas and more when you plan parties for little ones in Bronx. Take the stress out of party planning by hiring some of these great birthday party services in the Bronx to take care of things for you. From decorators to photographers these Bronx party services are here to help. Kids love dressing up as their favorite character, and now they can do it with their friends at themed kids parties in the Bronx! Surprise your child with decorations and costumed characters of their favorite cartoon when you throw theme parties in the Bronx.